As expected, more colorways of the latest LeBron James shoe models are surfacing on the web. One of those editions is set to hit the market in the next few days. 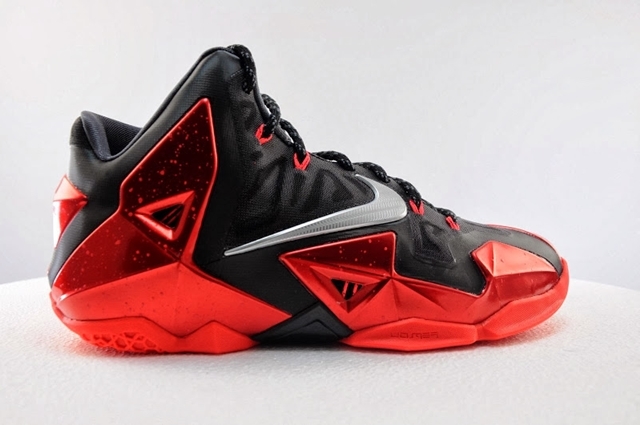 We are talking about the highly-anticipated “Miami Heat Away” edition of the Nike LeBron XI that is scheduled to be released on November 1st worldwide. Listed as the Black/Metallic Silver-University Red-Bright Crimson, this edition features the traditional away team colors of the Heat. This is expected to be one of the best-selling colorways of the LeBron XI so make sure to put this one on top of your list in November.